In our never-ending quest to keep you informed and up-to-date on movie and home entertainment happenings, Inside Redbox regularly takes a look at major films coming out in the near(ish) future that are already generating buzz and anticipation. This time around, we’re spotlighting the upcoming animated film Rise of the Guardians. If you’ve ever wondered if there was a little more behind the legend of Santa Claus, The Easter Bunny, The Tooth Fairy and others, Dreamworks Animation has got a movie for you. The studio that brought you How to Train Your Dragon has crafted a story around these protectors of children’s dreams and a grave threat that unites them all. An all-star voice cast that includes Jude Law, Chris Pine, Alec Baldwin and Hugh Jackman brings these fantastic characters to life. 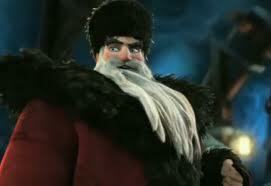 Rise of the Guardians spirits its way into theaters this November. Will you be there?